The Duxbury offense, led by QB John Roberts, will have its hands full with Hingham Friday night. Ahead of this weekend's MIAA high school football action, editors Matt Feld and Joe Parello are here to make their picks for the top games across Massachusetts. Heading into week five, here are our two editors shake up in the standings. Joe promises to be better, but he can be a filthy liar sometimes. Now, for this week's picks! Parello's Pick: If the Tide was gonna lose, I feel like it would have been before super soph QB Duke Doherty and new coach Theluxon Pierre really got rolling. We're past that point, and it's hard to see anybody knocking off Everett now. Feld's Pick: The Eagles defense keeps this one interesting for a half, but Everett's speed becomes the late deciding factor. Parello's Pick: Despite a loss to BC High, Brockton still has a ton of potential, and the Boxers' win over Natick is suddenly looking pretty darn good. That side, Xaverian is hitting its stride, and has too many play makers for the Boxers to keep up with. Feld's Pick: Xaverian has gotten progressively better as the weeks have gone on, and that will continue this week as its line play sets the tone from beginning to end. Parello's Pick: As I said last week, I'm all-in on this CM team. Sure, they gave up a 17-0 lead to the X, but that's only going to make Luke Folan and Co. even more motivated to knock off their Catholic Conference rivals this week. Gimme the Knights in a slugfest. Feld's Pick: In a game that goes down to the wire, the Eagles defense forces a key turnover late to lift St. John's Prep to a crucial Catholic Conference road victory. Parello's Pick: I was on the Braintree train last week (not the Red Line, but you get what I'm saying), but now I'm buying Matt Smith and the high-flying Needham offense to win a fun one. Feld's Pick: I have thought from the start of the season that Needham was a legitimate contender in Div. 1 South and on Friday they'll take another step towards securing the top spot heading into the postseason. Parello's Pick: This is one of those rivalries where you can truly throw the records out. That usually means an underrated Shrewsbury team giving St. John's all it can handle, but the shoe is on the other foot this year, as the Colonials are riding high at 4-0, while the defending state champion Pioneers needed a furious comeback last week just to get to 2-2. Still... St. John's is absurdly talented, so it's hard to call them underdogs either. I don't know man, but I've got a feeling this Shrewsbury team has a little magic in it. I'll take senior QB Drew Campanale in an instant classic. Feld's Pick: Shrewsbury is unquestionably the real deal, but I have a feeling St. John's turned a corner in its second half come-from-behind victory over Wachusett. In a shootout from beginning to end, the Pioneers get the last laugh. 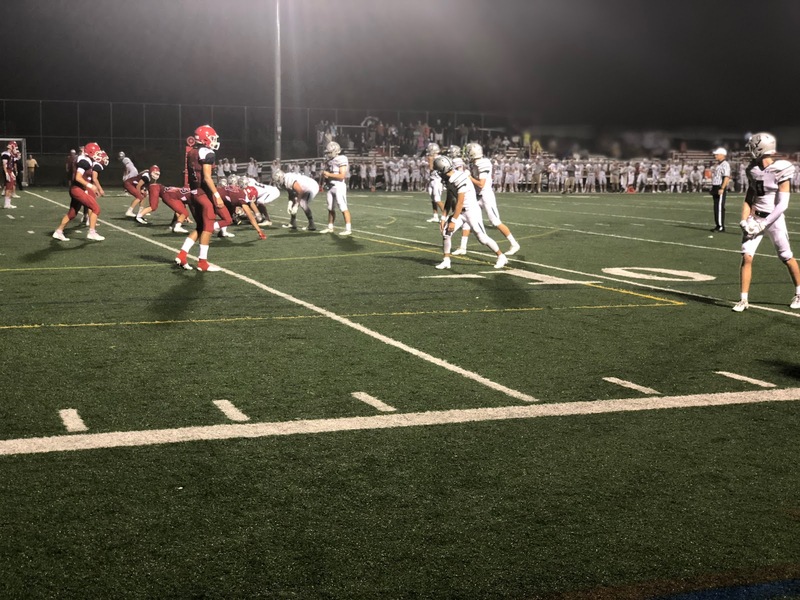 Parello's Pick: Two weeks ago I made a mental note that I was probably going to pick Hingham when this big game came up, but the Duxbury defense has actually won me over this season. Add in the fact that John Roberts and Co. have bounced back offensively, and I'll roll with the Dragons in what may be the best all-around game of the weekend. Feld's Pick: Count me all aboard the Harbormen train. 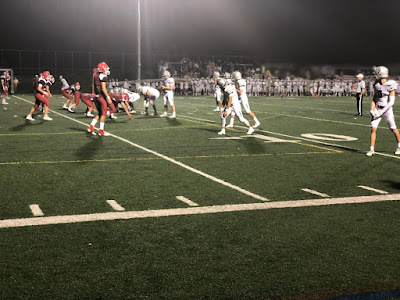 Junior quarterback Owen O'Brien steps up with some crucial throws, and Hingham's defensive line creates enough disruption to quell the Duxbury passing attack. Parello's Pick: A-B is coming off the biggest upset in the state against Lincoln-Sudbury, while Dracut topped Billerica in a big upset as well last week, but gimme the Colonial offense in what should be a fun one. Feld's Pick: Middies have proven they are for real in the MVC small, but Acton-Boxboro is out to prove that they are a legitimate contender. Behind Finn Murray, I think the Colonials continue to roll. Parello's Pick: No way King Philip doesn't get back on track here after that heart-breaking loss to Mansfield... Right? Feld's Pick: Robert Jarist continues his improvement to complement Ryan Halliday out of the backfield to give King Philip enough offense against a tough Kelley-Rex foe. Parello's Pick: Wahconah is probably the best team in Western Mass not named "Springfield Central," and a favorite to get to Gillette in Division 7, led by senior gun slinger Tim Clayton. East Longmeadow's defense has been stingy, but the Spartans are a little beaten up, and the offense has been up and down thus far. The Warriors continue to roll. Feld's Pick: Wahconah has done nothing but cruise so far this season, and I expect that to continue on Friday as they pick up a huge road win.